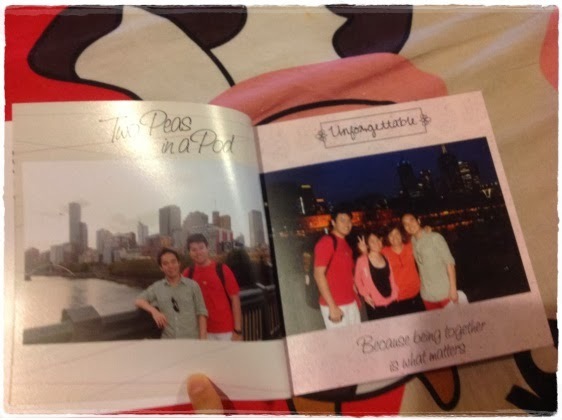 I got to know this free deal from Mama Cat, thanks to her, I received this 40 pages free Photobook! I think I signed up the deal last year and I "dilly-dally" for a couple of months till last week. Really prompt service... this morning I received this free 40 pages from Photobook! Just look at this photobook! Haha. .I thought of having one but no time to arrange my pics. Free kah? So nice. I checked it out and signed up for a free copy - then I got an email from them - buy one, get one free. No, thank you. 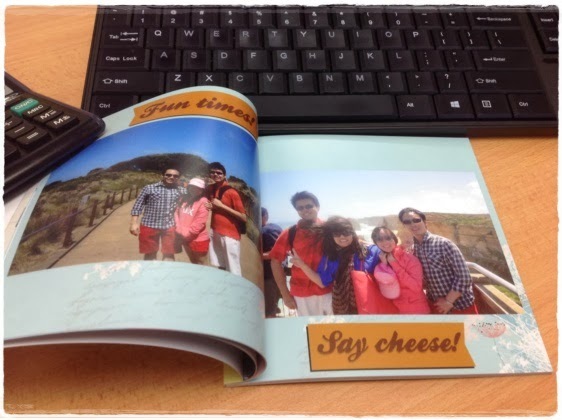 Nice photo album. Like magazine. Very durable too. Looks like the photobook fever has come to you! First it was Cat Mama, then SK, and now you! Sure a memorable photobook eh? It's indeed lovely! I would love to have one too. Great that you managed to get it done. Ahh, photobook..Yep, I got to know the free deal from Meow too.. Tagged in FB.. I will have one too, but that has to wait a while.. I'm too lazy to dig out all my photos and download the software for the background and theme purposes.. I wrote about it in SK's blog, so mine has to wait a bit.. The delivery is fast, heh? And you only need to pay RM8 for delivery fee.. Very "dai"..
Nice photobook. I also take up the offer, havent use it yet. Sure, sure... no doubt about that.. if can remember.. hahaha.. Same same.. till last week for me.. 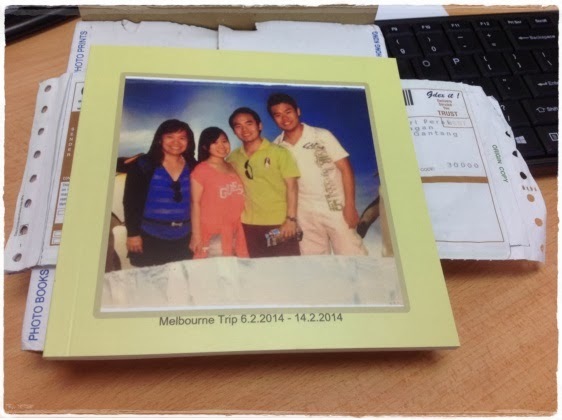 Very nice photobook for your Melb trips. Yeah too many choices to choose from.. Yes, what is free is nice! hahaa.. I like the cover that you have designed. So appropriate for your family memorable vacation! 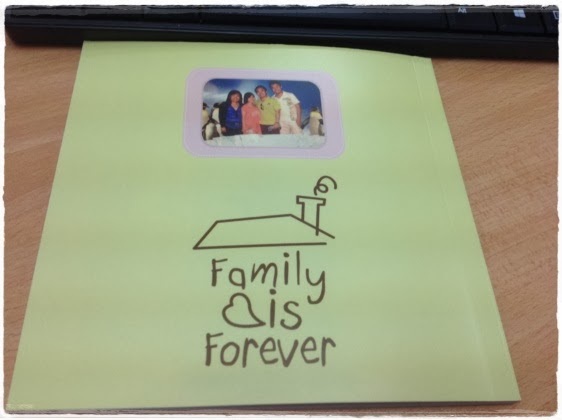 Can always look through this photobook when you miss your children. Nice, we also got this free photobook, received ours this week as well. Great, hope you will show it too!